Appian is one of the topmost software suites which offer the Business Process Management (BPM) with different types of automation tools. In this digital world, automation has become one of the essential parts. Thus all the companies are trying their level best to catch the trend by automating all that is possible including the software and other manual works like office works, banking works etc. Similarly, Tech Tammina also strives to update our clients to all the best and updated automation possible, crush their business goals, set new trends in the market by being unique, and even optimize customer experience by combining the artificial intelligence with automation. The speed and power of Appian IPA depend on the intelligent process automation which includes Robotic Process Automation (RPA) with low code development and machine learning. 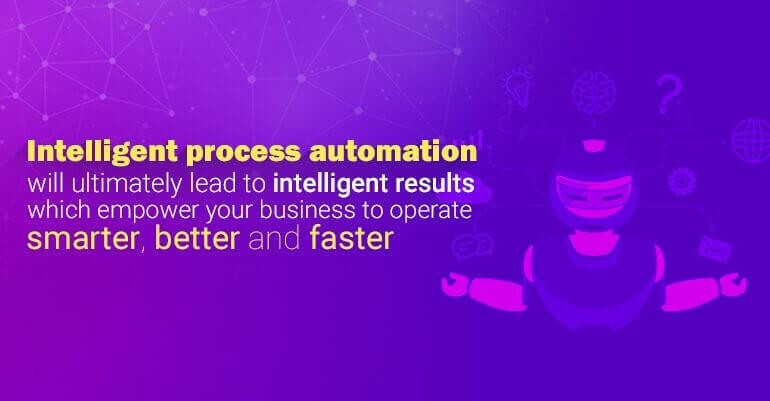 Intelligent process automation will ultimately lead to intelligent results which empower our clients to work smarter, better and faster. These include many processes like BPM, RPA, Artificial Intelligence and Integration. BPM is like organizing action across artificial intelligence, robots, users, etc. with low code and repeatable success. RPA is to eliminate repetitive tasks and to deliver worker at a greater value. Artificial Intelligence makes our client software smarter by using machine learning with Appian’s native AI services which include no coding and includes platforms like Microsoft Azure, Amazon AWS and Google cloud. Digital Process Automation helps in cost-cutting wherein human tasks are streamlined and augmented by software applications. Human labor is being expensive these days, so this automation which includes no human intervention will lead to less cost comparatively, which will increase the company’s overall productivity. In this way, work becomes more efficient and effective as machines can complete the task much better than human beings. This being the main purpose maximizing efficiency Appian IPA has been the best in the market for increasing the profit margins. Our technical team believes in being updated with all new technologies and applications, which helps our clients to stay updated time to time and stay ahead in the market. Our technical team utilizes a combination of powerful technologies like data warehousing, RPA, AI, Amazon AWS, Google cloud, Microsoft Azure which results in smart data insights and increases the value in the market with unique ideas and creative mind and automated, faster and smarter way. The speed and power of APPIAN BPM are the changing trends of business now. And our company has many developers and technicians to work on Appian AI services, which will definitely help our clients to be the top notch in the market. Our company automates a set of business processes and activities, thus enabling our clients to create a more productive and efficient workflow. This will help our clients to free up human resources, speed up processing time, and reduce errors for more independent thinking or creative tasks. Our company’s Appian IPA developers strive to order flow processing, deliver profits, increase productivity and savings, which would, in turn, help our clients with their business development.